St. John’s, NL – Oil and gas, fish processors, commercial fisheries and aquaculture were just some of the industries represented at the 2014 edition of the North Atlantic Fish & Workboat Show, held this past weekend, at the Mile One Centre. This year’s show marked the fourth biennial edition of this all-encompassing commercial marine event. A broad exhibitor base showcased new and innovative products to 3,177 qualified buyers walking the show floor. There was significant growth in the number of visitors in the areas of offshore oil & gas and seafood processing, in particular. 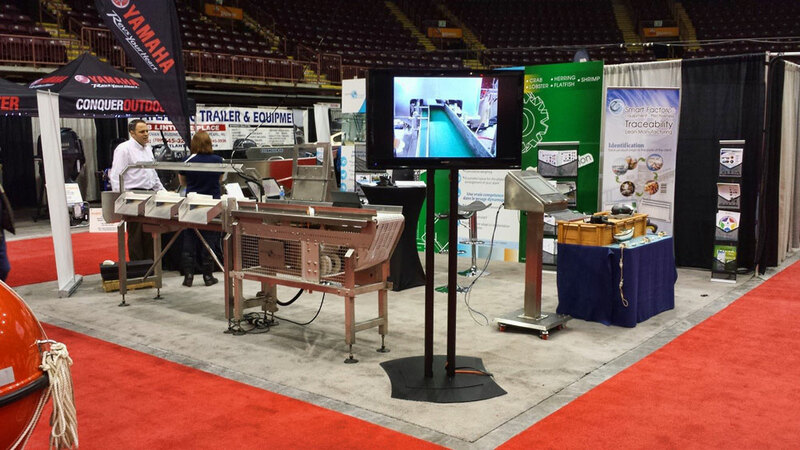 This was Cube Automations first year at the North Atlantic Fish & Workboat Show and what a great show it was! We even had the opportunity to tour a Turbot Fishing Vessel. Big Thank You to our tour guilds! A Smart Factoree TM Traceability System, Calabra C – Compact Grader & Misc. Productivity Improvement Equipment were showcased and were the buzz of the show! We would like to thank all of the attendees (producers, skippers, and fishermen alike) who took time during the weekend to attend our booth and make this show a huge success! We definitely enjoyed the amazing Newfoundland hospitality and time spent in St-John’s!